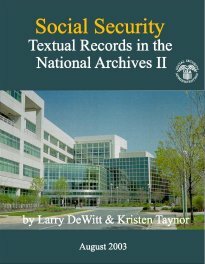 There are two major archival collections of Social Security-related documents and audio-visual materials. The largest collection is that of the National Archives in College Park, Maryland; followed by the SSA History Archives at Social Security headquarters in Baltimore, Maryland. These Guides are SSA-produced catalogs of the Social Security holdings of each of these archives.